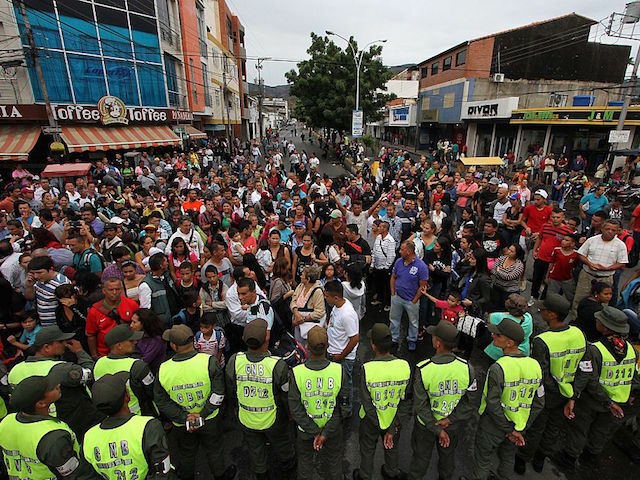 For the second time in as many weeks, tens of thousands of Venezuelans flooded the Colombian border town of Cúcuta seeking to buy food and medicine, basic items impossible to find in the increasingly starved socialist nation. President Nicolás Maduro opened the border to Colombia on Sunday for the second time since shutting the border entirely a year ago and violently deporting the Colombian nationals living on the Venezuela side, using what Colombian President Juan Manuel Santos referred to at the time as “Nazi tactics” like labeling the homes of Colombian nationals with spray paint and demolishing them. 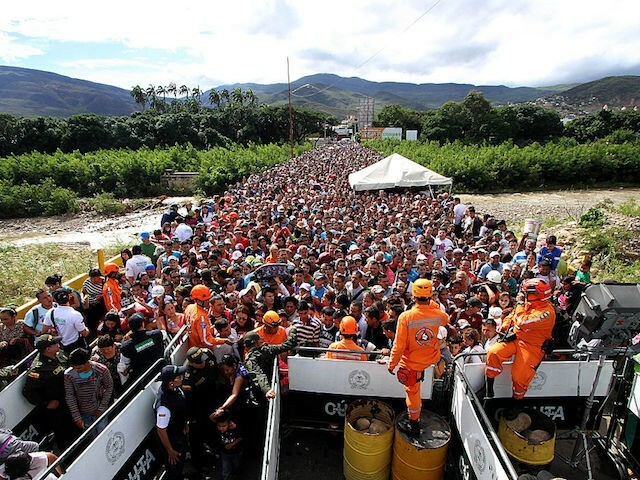 The number of Venezuelans taking advantage of the border opening nearly tripled from the 35,000 last week to nearly 90,000 this past weekend. The Venezuelan newspaper El Universal notes that those traveling for shopping to Colombia came prepared with large tote bags and even travel luggage to buy as many goods as possible. The border opening this weekend represents a stunning about-face for Maduro’s socialist government. Maduro chose to open the border last week following the forced passage of over 700 women to Colombia in early July. The women, most wearing white — the color of anti-socialist protest in Venezuela and Cuba — crossed into Colombia peacefully, praying and chanting slogans like “we want food” and “yes we can,” as border agents did not fire on them. 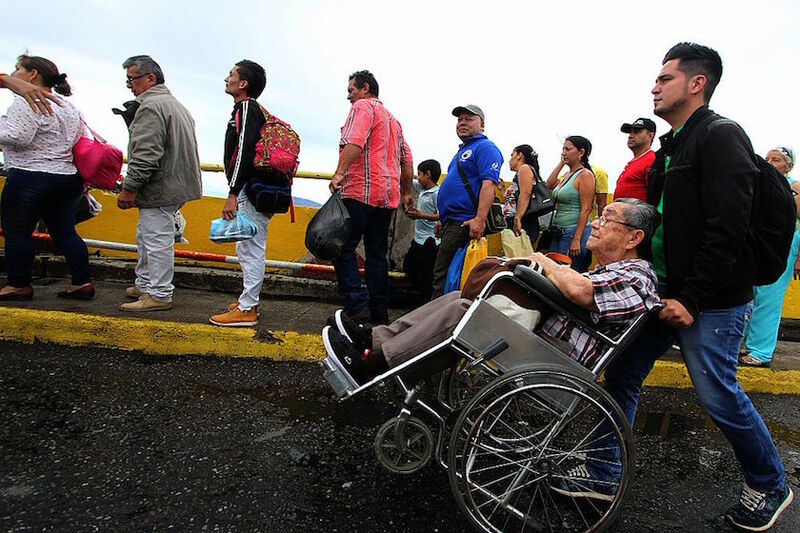 Following the first legal opening of the border in a year last Sunday, the governor of the Venezuelan state of Táchira, socialist José Gregorio Vielma Mora, called the move a “one-time-only” act of benevolence from Caracas. 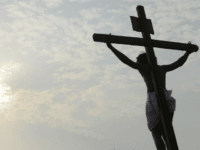 He also denied that his people were suffering food shortages. Those crossing the border, he alleged, did so to “have fun,” not to avoid famine. On Saturday, Vielma Mora was forced to announce that Maduro would do “an act of good faith” and open the borders for the weekend. He also asserted that Colombians were welcome in Venezuela so long as they did not engage in “drug trafficking,” though there is no evidence any Colombians took him up on this offer. Opposition politicians this Sunday took to Twitter to condemn Maduro’s socialist price controls and the government’s border closings, repeatedly asserting that Venezuela is “a hungry country.” The group used the hashtag #PresosdeHambre, or “prisoners of hunger,” to express their disgust with Caracas.